Newtown House, Captains Hill, Leixlip, Co. Kildare. The overall goal of Leixlip Youth Project is to support the continued development of a broad range of youth services in the area through identifying youth needs and supporting voluntary leaders and the community to provide relevant services to meet these needs. The key principles underlying the project are community involvement and development, the personal and social development of young people and a quality approach. 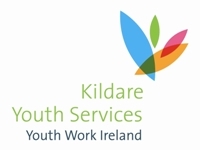 Kildare Youth Services was founded in the early 1970’s by volunteer youth leaders concerned with the development of youth club support services throughout County Kildare. Originally known as Kildare Federation of Youth Clubs, the name changed to Kildare Youth Services in 1986 marked a broadening of the work of the organization, to include special project youth work. 1989 was a landmark year for KYS with the acquisition of the Canal Stores premises in Naas and the introduction of new funding for disadvantaged youth projects. Throughout the 1990’s the organization expanded and developed to include the establishment of Community Youth Projects in Naas, Athy, and Leixlip, the Naas Youth Information Service, the Counselling Services and various special projects targeting early school leavers and other special interest groups. In 1999 the Naas Child & Family Support Project was initiated in partnership with the South Western Area Health Board. Curragh Youth Project started in 2001 and 2006 will see the establishment of Kildare Town Youth Project. Kildare Youth Services is a partnership of young people, volunteer and staff working together to respond to the emerging and changing needs of young people, their families and communities. Together with a wide range of community and statutory agencies, Kildare Youth Services is committed to the development of comprehensive youth services throughout County Kildare. Kildare Youth Services is affiliated to Youth Work Ireland (formerly National Youth Federation).